Oriental and Persian rug cleaning requires expertise and skill. The rug carpet cleaning process involves a delicate balance of pH solutions, and, should only be done by truly professional rug cleaners. It’s not just a matter of how dry you can keep the Persian rug carpet cleaning, but how fast you can dry the carpet. Auckland Steam ‘n’ Dry offer a safe quick dry rug cleaner. 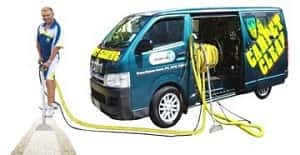 Using either powerful vacuum truck mount cleaning units at your home or office, or a quick dry ringer machine at our factory base. Both methods are recommended by rug manufacturers, furthermore, being the safest carpet rug cleaning method for their particular rugs type. Our Persian rug carpet cleaning technicians have undergone thorough training in rug carpet cleaners. From everyday wool rugs to antique Persian rugs. Oriental carpet care with specialized rug cleaning process. At Auckland Carpet Steam ‘n’ Dry rug cleaning understand and respect the amount of money you have invested in these prize pieces of artwork, and we can assure you that we will treat them as delicately as we would our own rugs with delicate care such as we would with upholstery. For the majority of carpet and rugs, we recommend truck-mounted rugs steam clean to leave the carpet rugs fibers dry in just a few hours. This is the most effective rug cleaning methods to date, and, even better it only uses natural spray soap and hot water system. As its cleaner solution with a carpet protection rinse. With our truck-mounted cleaner machines. Water is injected deep into the fibers of the rug, agitating the dirt, dust mites lose. Then all of this is sucked up with a powerful vacuum. The result is a very clean carpet, one that you don’t have to worry about leaving any cleaning solution residue left behind, which can attract new soil. Auckland Steam n Dry truck mount rug carpet cleaning machine can adjust to a dryer steam clean sensitive rugs carpet. Some rugs require dry clean only, some its okay to use truck mount carpet cleaners with good vacuum power. Silk, and, other rug types can handle a certain amount of liquid. Although you may worry that your coffee stain or track of grease in from the garage has doomed your area rug to the trash can. We will apply our Persian rug carpet cleaners knowledge to remove the rug stains completely or as much as possible. It is best to treat a stain early, and, making a call to professional rug cleaners is the best idea. If you are searching for good rug cleaners, so, please call 376 7007. See how we can meet your needs. Whether you are looking for general carpet cleaning or specialty rug cleaner for your antique oriental rugs. We will surely impress you with the carpet cleaners results. Our truck mount carpet cleaning Auckland is adjustable so can leave carpet dry for Persian carpet clean. These rug cleaning tips are provided to you from Graeme Stephens an IICRC 2001 Master Restoration Technician. To help you best care for your special Persian or oriental rugs. For the rug clean experts, either, call 0800 783-266, or email Auckland Steam n Dry.